"Being from a small town I was drawn to Bolton & Menk due to their involvement working for and helping small cities." Being from a small town, Jake was drawn to Bolton & Menk for their involvement working for and helping small cities. He enjoys solving problems communities face, helping them improve the quality of life for their residents. 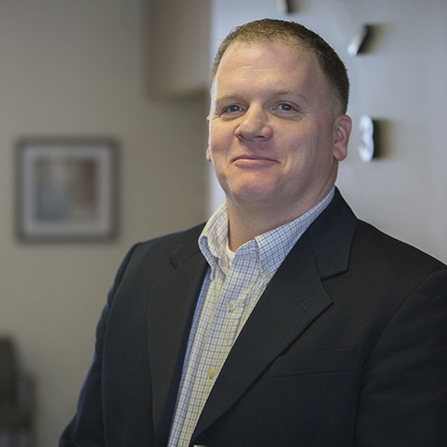 Jake serves as a Client Service Manager for several West Metro communities. Since joining the firm in 1999, he has completed a wide variety of municipal engineering and planning projects. Jake applies his expertise and experience in evaluation, planning, design, and implementation of municipal engineering projects related to streets, municipal sanitary sewer systems, municipal water systems, stormwater systems, sidewalks/trails, and residential, commercial, and industrial development when serving his clients. When not advising communities on infrastructure, he's coaching youth softball in his own community.